Every year this is organised by the Royal British Legion Poppy Factory as part of the annual Poppy Appeal commemorations. Almost 400 plots are laid out in the names of military organisations and associations. Remembrance crosses are planted in these plots – often with hand written messages from family, friends or colleagues. The Field of Remembrance was started in 1928 by Major George Howson MC, the founder of the Royal British Legion Poppy Factory. Major Howson and a few disabled ex-Servicemen from the Poppy factory grouped together around a battlefield cross (familiar to those who had served in Flanders and on the Western front) and with trays of poppies, invited passers-by to plant a poppy in the vicinity of the cross. Since then, the Field has evolved to include a wide range of military interests. Ex-Servicemen and women, both young and old turn out for the opening ceremony to pay their respects to their colleagues. The Field is opened on the Thursday prior to Remembrance Sunday in November and stays open until then. All proceeds from the Field of Remembrance are given to the Poppy Appeal. A plot is set aside for Far East Prisoners of War and their families to plant crosses in a plot set aside for them. Of course, if you came to St Martin-in-the-Fields Church on VJ 70 Day, you will be aware of this, as information was included in the Order of Service. As each year passes the number of crosses planted inevitably reduces in number. It is more important than ever for those of us as families of FEPOW, to remember our loved ones and remind us and this country of the lives that were taken in their prime, and of the suffering and courage of those in captivity. Let us ‘keep going the spirit that kept them going’. We can all plant a cross! Your message will be placed on the cross and taken to Westminster by the representative on the Thursday prior to Remembrance Sunday. The crosses will be planted by June Elkington-Housego as in previous years, representing the London FEPOW Remembrance Club. WHAT ABOUT MAKING A DONATION? Please don’t send any money to NFFWRA but place a donation in a collecting tin in your nearby supermarket or with your door to door collector. There will be many opportunities to do this in your local area. The Field of Remembrance at Westminster Abbey pays tribute to all the brave Service men and women who have served in our Armed Forces since the First World War. 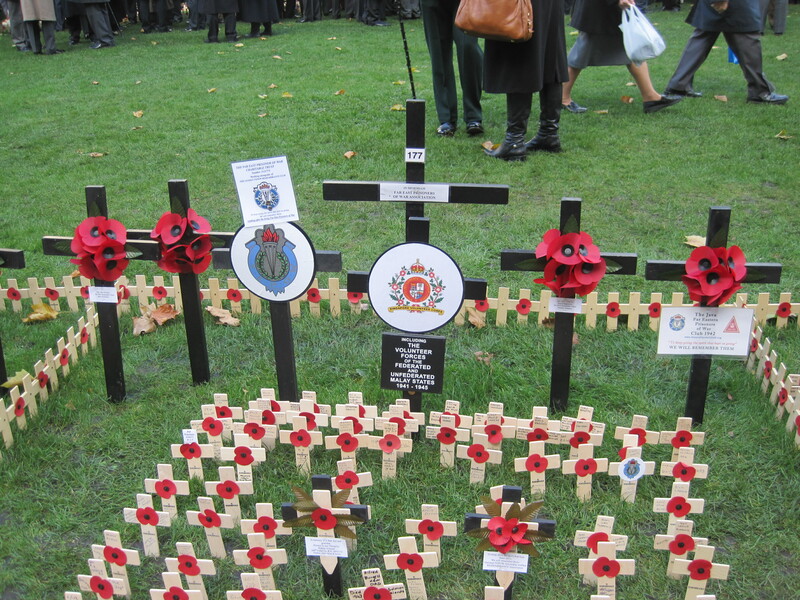 NFFWRA assists the named representative with the administration of the FEPOW plot at the Field of Remembrance at Westminster in order to enable poppy crosses to be planted in memory of the Far East Prisoners of War. Representatives from the London FEPOW Remembrance Social Club currently plant the poppies. You can view photographs from previous years here. 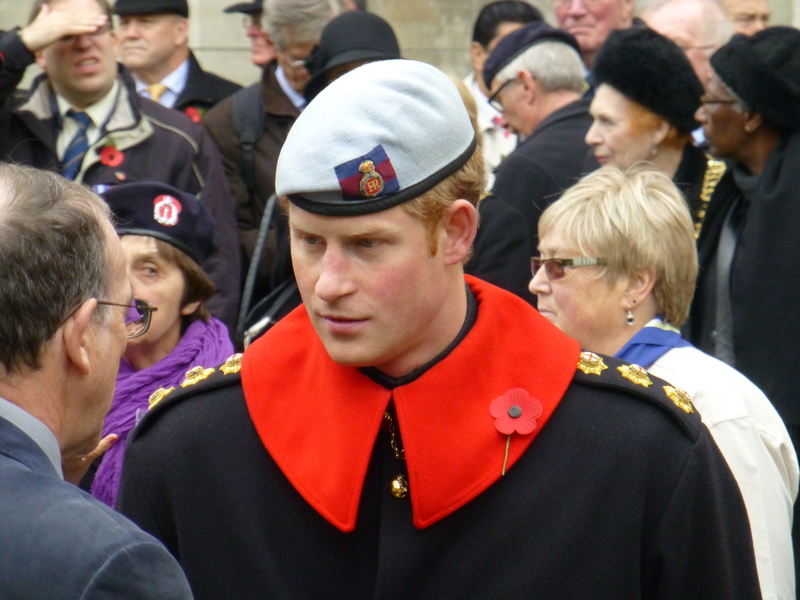 The opening ceremony takes places on the Thursday prior to Remembrance Sunday and is usually attended by a senior member of the Royal Household, who then conducts a review of the plots.